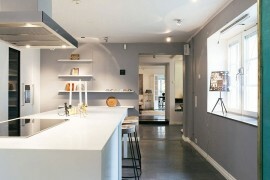 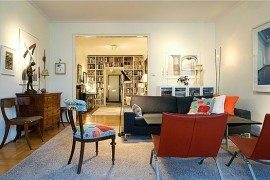 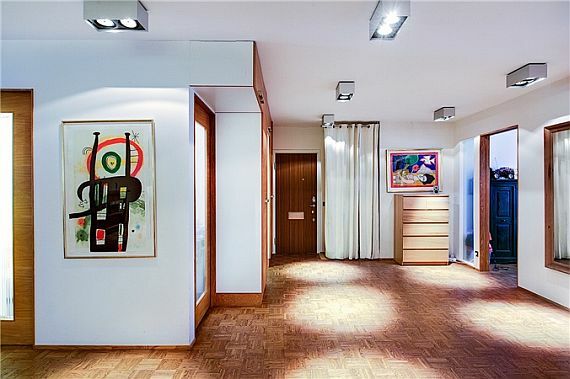 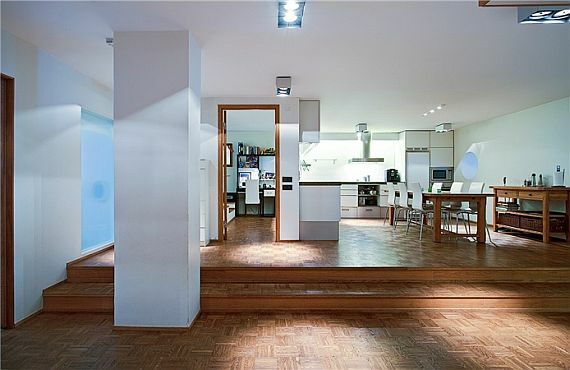 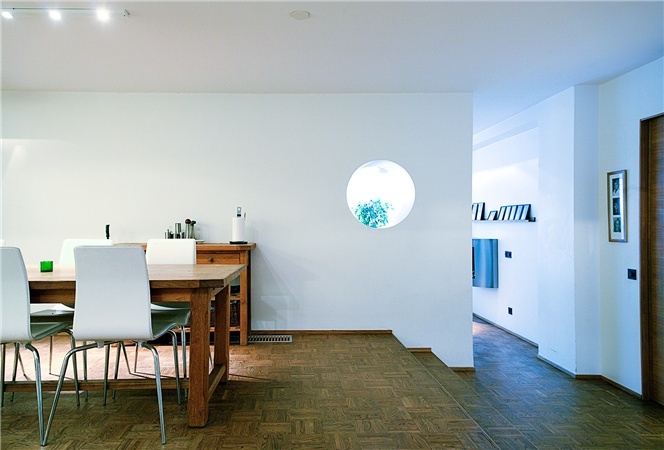 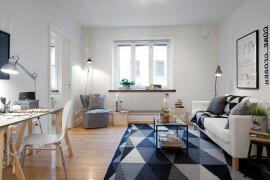 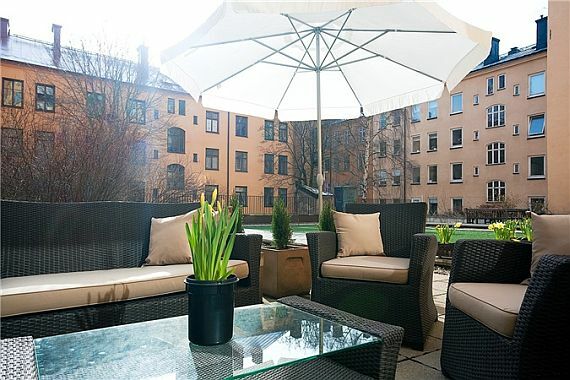 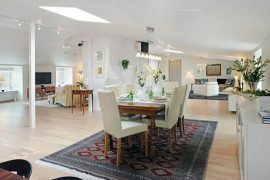 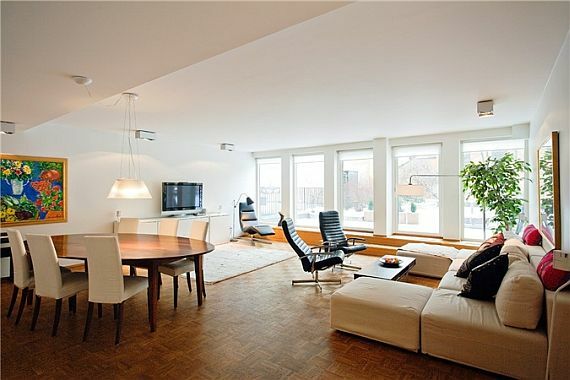 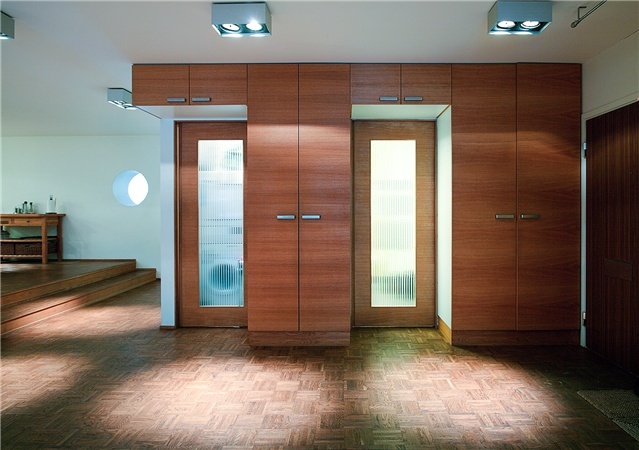 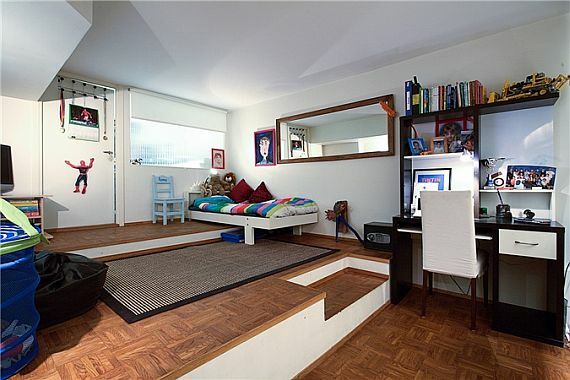 It’s been a while since we last been lurking Swedish websites for amazing apartments to take our breath away. 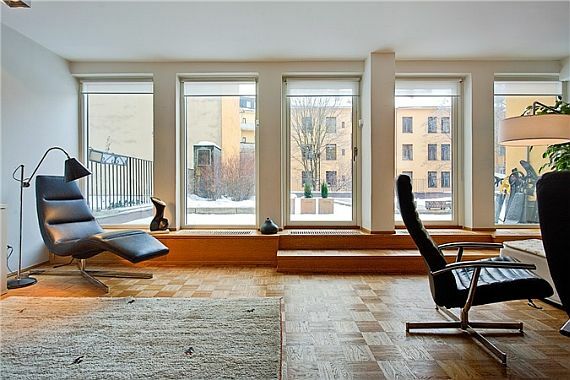 And I found something really amazing — a great example of Swedish minimalism. 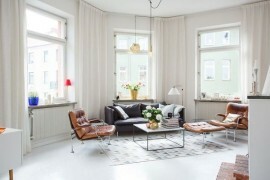 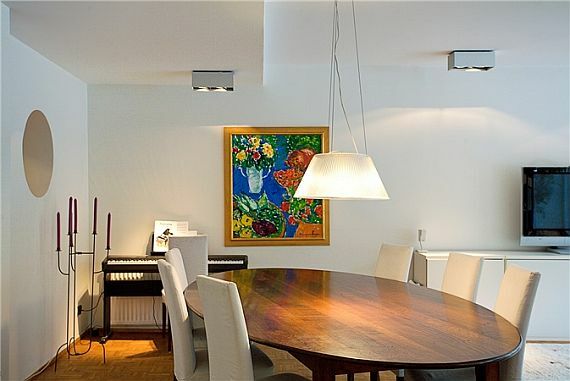 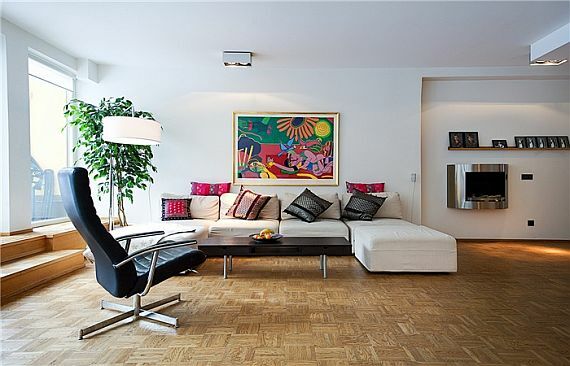 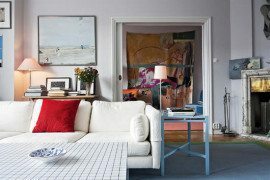 Located in Östermalm, a large district in central Stockholm, this four room apartment (3 bedrooms) has an amazing taste for design. 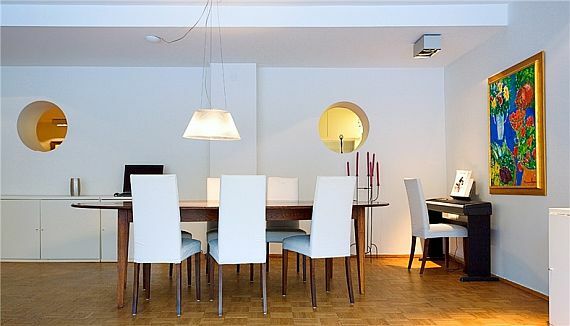 The thing that gets to you from the first time you lay your eyes on it, is the large patio with the classic table and chairs that goes great with the rest. 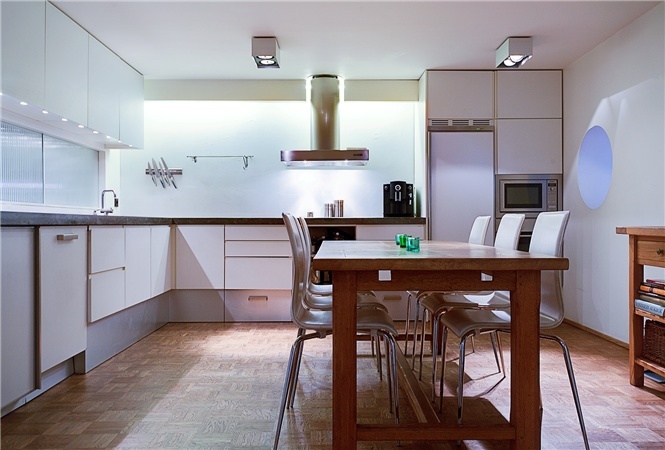 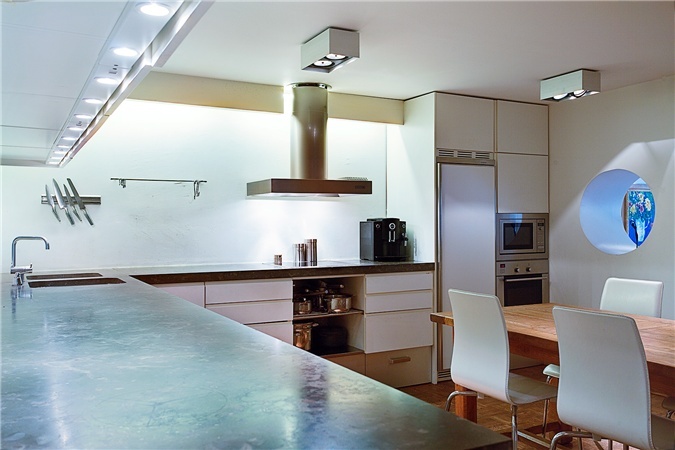 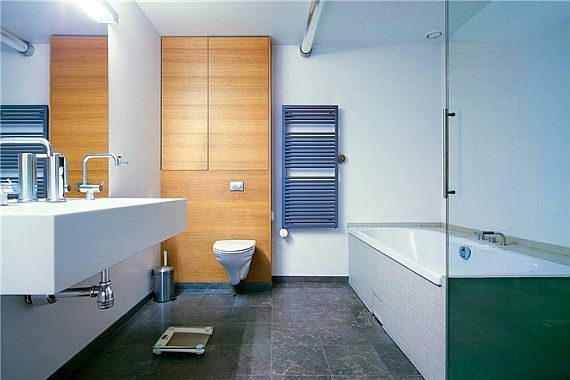 With a tinge of color here and there, contemporary pieces of furniture a highly modern kitchen, and large spaces everywhere, we’ll let you decide if it’s worth $260 per month to rent or $1.23 million to buy it.